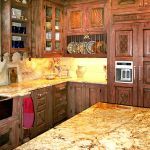 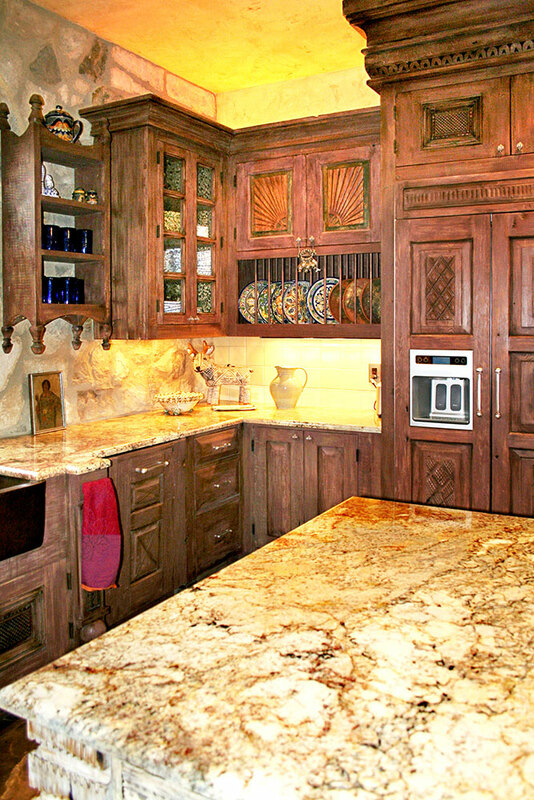 These kitchen cabinets and carved wood refrigerator panels feature similarly carved panels, making the fridge blend in with the cabinets. 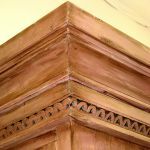 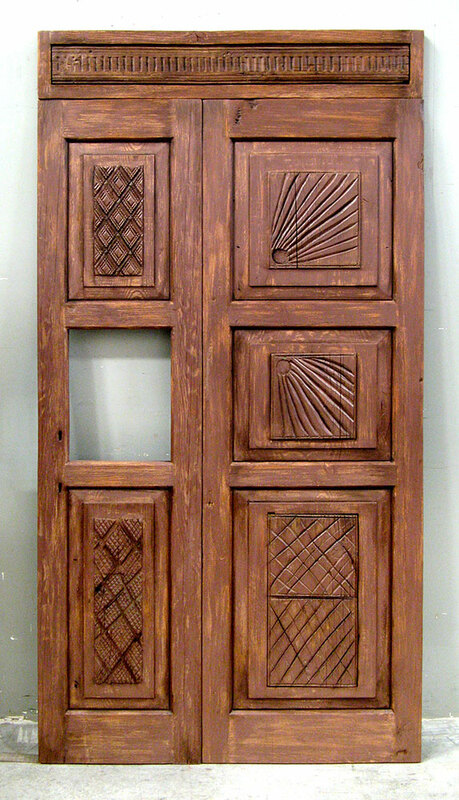 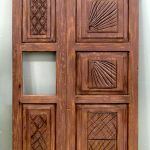 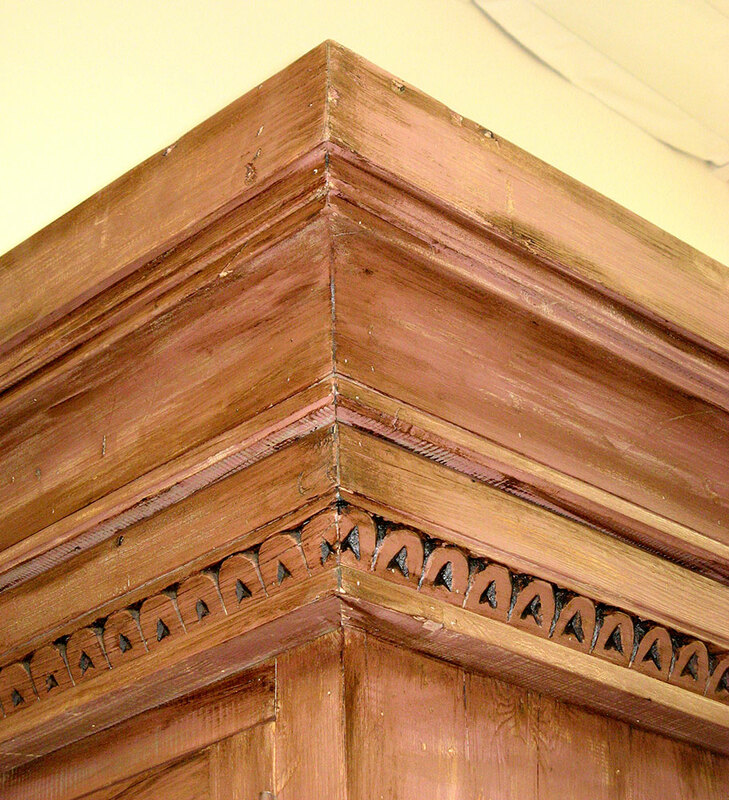 They are made from salvaged lumber and carved panels from antique cabinet doors. 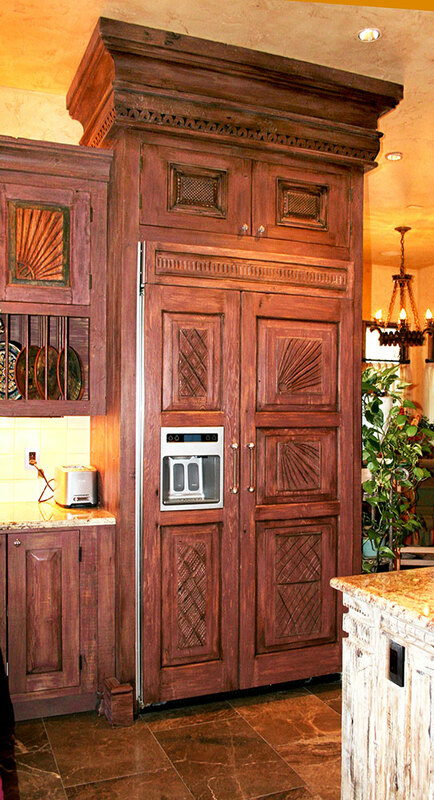 The refrigerator cabinet has crown moulding with inset carved fragments and the cabinetry hardware is brushed nickel.